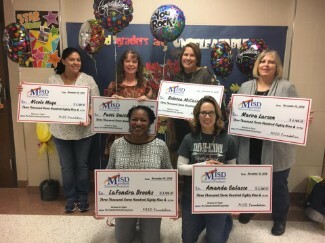 The MISD Education Foundation made a visit to bring big checks to several of our teachers. 2nd grade teachers were awarded $3,789.19 for their grant "Chrysalis to Flight: The Complete Butterfly Experience". The money will be used to purchase building materials, soil and plants to create a butterfly garden in the Discovery Park. Mrs. Atwood and district science coordinator, Amy Senato received a check for $3472.47 from the WR Roofing Company for their grant "Ag Here, There and Everywhere!" This grant money will be used to purchase ag supplies, hands on activities and readers for students at Tarver-Rendon and Donna Shepard Intermediate school. 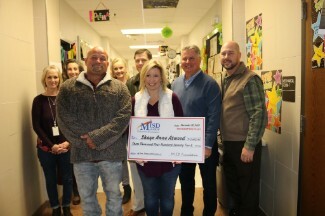 Thank you to the MISD Education Foundation for your continued support of our kids! !